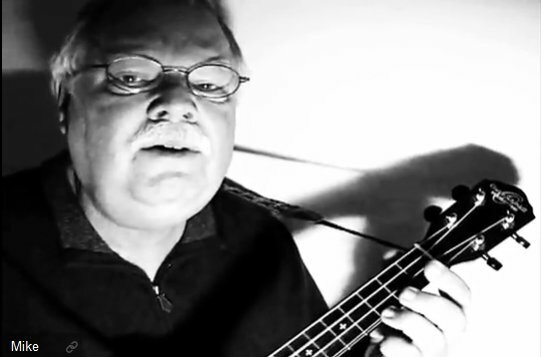 Click Play on this video for UKULELE MIKE'S rendition of the classical theme "FINLANDIA". This theme, composed by Finnish composer Jean Sibelius in 1899, has been reinterpreted lyrically in the hymn tune: "SONG OF PEACE" (lyrics by Lloyd Stone) and strongly establishes Mike's belief that the ukulele is without a doubt the true instrument of peace. UKULELE MIKE spreads the message of this enchanting and magical instrument of Hawaii throughout the world through his YouTube videos and his teaching and workshop activity. "Sibelius and everyone else loves this spiffy rendition of Finlandia by Mike Lynch . . . .and me too!" Mike Lynch has been known in liturgical circles for over 4 decades with churches everywhere singing his compositions from their parish hymnals. A number of his Praise and Worship hymns are currently found in the publications of OCP (Oregon Catholic Press). A few of his most beloved hymns are "Bread, Blessed & Broken", "Father Of Peace", and "In The Land There Is A Hunger". 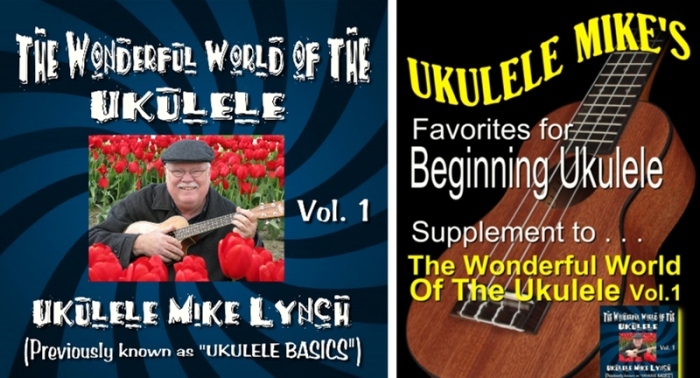 Mike has numerous educational ukulele products available for purchase, chief among them is THE WONDERFUL WORLD OF THE UKULELE Volume 1 which he designed specifically for beginning ukulele players. for more informaion click the image below. To order go to the Store.